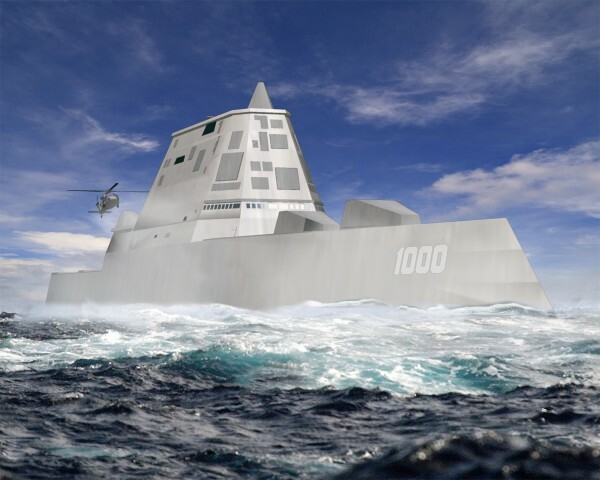 The first DDG 1000 next-generation destroyer being built at Bath Iron Works is due for delivery to the Navy in 2016. 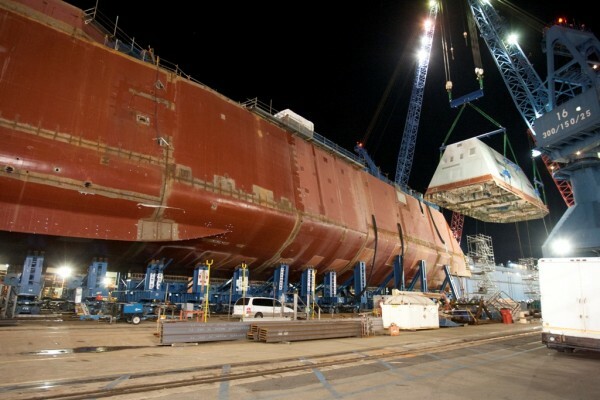 The 900-ton composite deckhouse of the DDG 1000 warship under construction at Bath Iron Works is hoisted onto to the hull of the ship on Dec. 14, 2012, in Bath. BATH, Maine — A defense industry expert said Tuesday that a Navy decision to award a contract for the third Zumwalt-class “stealth destroyer” deckhouse to Bath Iron Works may have saved money, but could come at the expense of increased stealth. Meanwhile, the decision prompted officials at BIW’s chief competitor, Ingalls Shipbuilding — which built the first two Zumwalt-class deckhouses of composite — to say they would examine the future of the Mississippi shipyard’s composite center. The hulls of the three Zumwalt-class destroyers — a line of stealth warships since discontinued because of their cost — are being built at BIW. Ingalls Shipbuilding’s Composite Center for Excellence facility in Gulfport, Miss., was awarded contracts to build the deckhouses, helicopter hangar and launch missile shields for the first two Zumwalt-class ships out of composite. But on Aug. 2, the Navy announced that BIW had secured a $212 million contract modification to build the third deckhouse — for the future USS Lyndon Johnson — out of steel. As the Navy built the first ship, however, studies indicated that steel deckhouses were feasible, and the Navy asked both companies to continue studying and submit proposals. Bath Iron Works submitted the lowest-cost proposal, for a steel deckhouse, and was awarded the contract. But Loren Thompson of the Arlington, Va.-based Lexington Institute said Tuesday that although the steel deckhouse may come at a lower price, it could prove to offer fewer tactical advantages than a composite deckhouse. Weight was certainly a factor, Johnson said, as well as some technical criteria, but he said changes to the ship design since work started on the first Zumwalt-class destroyer accommodated the heavier steel deckhouse. The deckhouse and hangar for the DDG 1000, made of composite, already was delivered to BIW, and Bill Glenn, public affairs manager at Ingalls, said the composites center — which employs about 650 people — continues work on the deckhouse and hangar for the DDG 1001.